Junior guard, Patil Yaacoubian scored 25 points and Sophomore forward, Mia Chang scored 16 points to go with 10 rebounds while helping their team in a first round CIFSS 4AA playoff win. The Lady Minutemen will now advance to the second round at Maranatha High on Saturday evening at 7:00 PM against Paloma Valley. 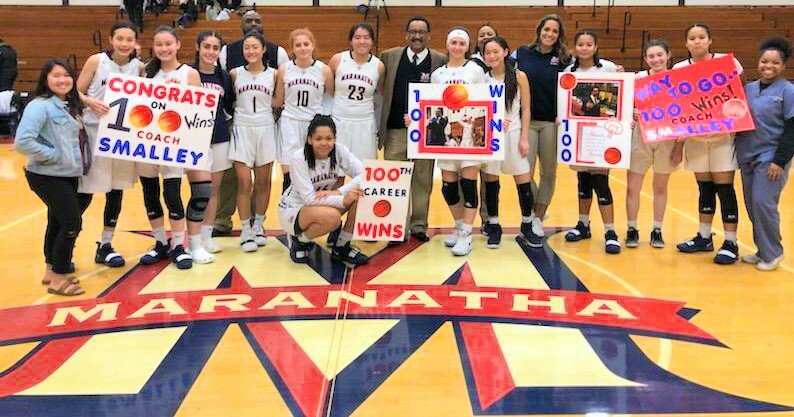 The 3rd ranked Lady Minutemen are now 18-7 on the season and the victory marked Coach Gamal Smalley’s 100th career win.